At our San Francisco office, we've had reuse on our minds. While perusing projects online this week, Grain Design's Café America chair caught my eye. 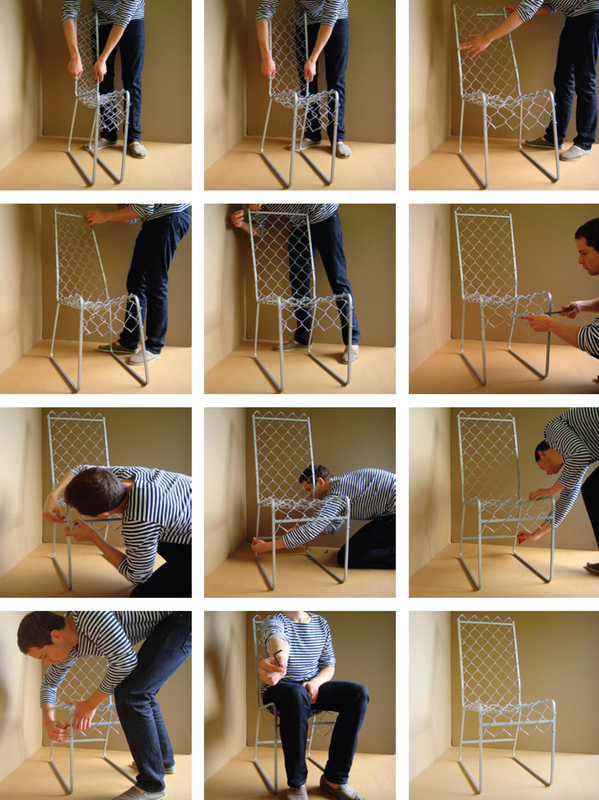 The chair is not only made of recycled galvanized steel chain-link fencing but it also cleverly rethinks the use of the material—and was designed with its afterlife in mind as well. The result of a Rhode Island School of Design collaboration, Grain Design was founded in 2007 and now comprises four designers scattered across the country, from Seattle to Boston to New York. Though much of the group's collection lies in the realm of jewelry and purses, the theme of sustainability runs throughout the designs. 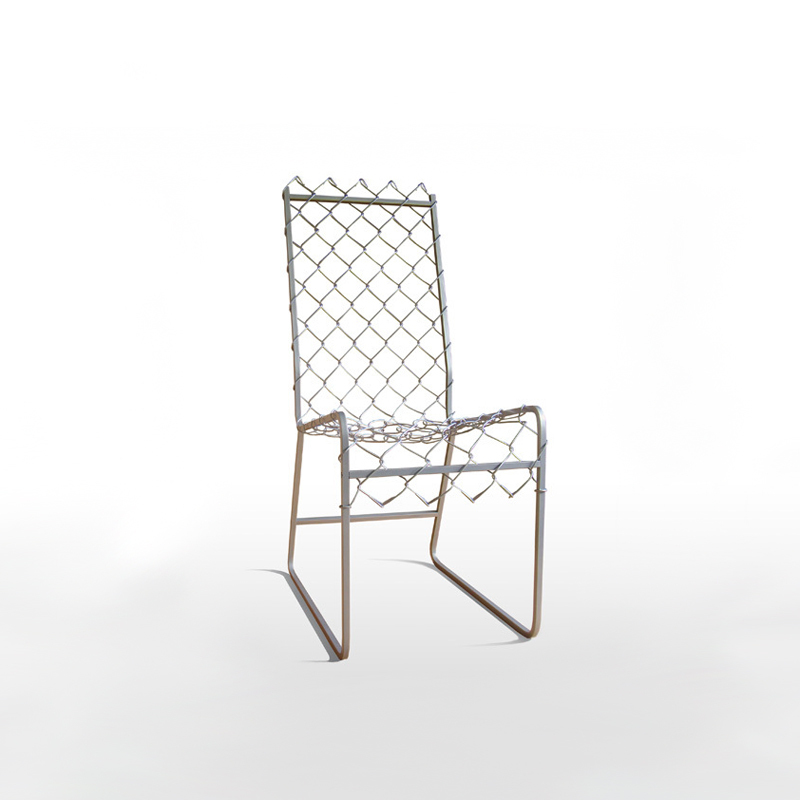 Designed last year, Grain Design's Café America chair in an indoor/outdoor seat made of recycle chain-link fencing and stainless steed rods and fasteners. In addition to the use of recycled materials, the chair is also shipped flat for efficient shipping and recyclable at the end of its life cycle, and part of its sales (one percent, to be exact) go to 1% For The Planet, an organization of businesses who donate money that is allocated to environmental groups worldwide. 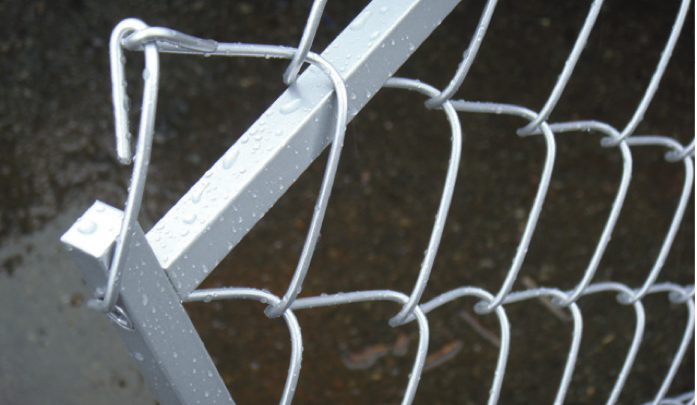 While the appearance suggests a comfort level more attuned to a prison yard than a patio, the designers assure that "a unique cushioning effect is created by the lightly tensioned chain-link seat and back." I'm still on the fence about that.